Revolving around the core brand ideology and the product proposition of the new Lenovo K8 Note, Fountainhead MKTG— a Dentsu Aegis Network company-, based the launch concept on the key USPs of the smartphone - "Killer Performance" and "Killer Shots". The event saw, custom-designed quirky invites with shot glasses and coasters labeled as "Killer Shots", clicked from the Lenovo K8 Note, to structures used as installations, a demo area, and a vivid stage setup. 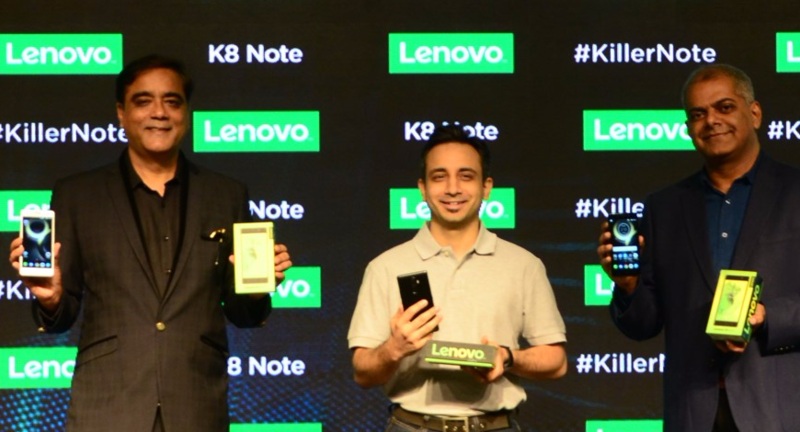 The sequence of the launch saw brand insights and presentation by the management heads of Lenovo India, followed by the product introduction leading up to the launch of the Lenovo K8 Note. Post the launch, the demo zone was opened to all attendees for a hands on experience with the product. “Ordinary is now history! No, it’s not just an expression but an actual fact, if you have the new Lenovo K8 Note. It truly is built to "Kill the Ordinary", and that is why everything that we designed and planned for the launch had to match the "Killer Features" and Performance of this product. Fountainhead MKTG ensured every aspect of this launch right from the concept, designs, production to the execution…everything was done with utmost perfection to make this launch a success for both us and our clients” said, Deeksha Arora, Vice President, Fountainhead MKTG (North).